We do not require or request personal information about our clients on this website. However, this website does provide for email contact with our staff should such be desired by you. Any personal information submitted to us is therefore done freely. The usage of any information freely submitted will be governed by this policy. Apricot Grove Herbs and Tea Company -and the FineTeapots.com.au website- may use such information as you provide to contact you regarding any product you may have purchased, or any matter involving the processing or expediting of an order, or to respond to any request for information. When you submit any information to us through this site you are agreeing that such usage is reasonable and permissible. We will not give, trade, rent or sell your personal information to any third parties without your express permission except as may be required by law or legitimate legal process. 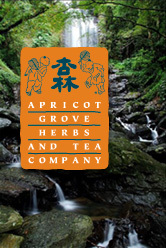 Apricot Grove Herbs and Tea Company -and the FineTeapots.com.au website- does not use use server logs or "cookies" to track your behaviour on or off our website. In accordance with the Children's Online Privacy Protection Act, we do not solicit or store information on persons under 13 years of age even should such information be freely provided. We sincerely request that children under 13 do refrain from submitting personal information to our -or any other- website without the express consent and immediate supervision of a parent or other legal guardian. please contact us at info@fineteapots.com.au .